Looking to expand the selection in your tool box? You're in luck because Amazon is having a huge sale on select tools!!!! 1. 46% off a 120V variable speed rotary tool kit. Includes 50 accessories (for carving, cutting, grinding, cleaning, standing, etc.). Get it from Amazon for $144.99 ($124.59 off the list price). 2. 45% off a weatherproof outdoor wireless remote control kit. Reaches up too a 100ft range! Get it from Amazon for $9.83 ($8.16 off the list price). 3. 46% off a 6 1/2" plunge circular saw with a guide rail. Get it from Amazon for $409 ($351 off the list price). 4. 29% off a multifunction sharpener. Get it from Amazon for $8.47 ($3.52 off the list price). 5. 16% off a 25-foot by one-inch measuring tape. Get it from Amazon for $8.30 ($1.58 off the list price). 6. 40% off a 2.5 gallon utility wet/dry vacuum. Includes: 2.5 gallon storage tank, two horsepower motors with an auto shut-off to prevent overflow, 6-foot hose, and a 10-foot cord. Get it from Amazon for $29.97 ($20.02 off the list price). 7. 50% off an 18V lithium-ion cordless drill kit. Includes a 18V LXT sub-compact brushless 1/2" driver-drill, 18V LXT sub-compact brushless impact driver, two 18V LXT lithium-ion compact 2.0Ah battery, and a 18V lithium-ion rapid optimum charger. Get it from Amazon for $229 ($233 off the list price). 8. 18% off a 4.5" compact circular saw. Get it from Amazon for $56.34 ($12.66 off the list price). 9. 45% off an 8" wire stripper. Get it from Amazon for $16.98 ($13.79 off the list price). 10. 57% off a 30" magnet pick-up. Get it from Amazon for $5.99 ($8 off the list price). 11. 8% off a 120V saw tool kit. Includes: one four-inch carbide wood cutting wheel, two 3.5-inch metal cutting wheels, 3.5-inch masonry cutting wheel, and one 4-inch carbide wood flush cutting wheel. Get it from Amazon for $119.99 ($10 off the list price). 12. 8% off a pocket-hole jig. Get it from Amazon for $129 ($10.99 off the list price). 13. 32% off a folding compact sawhorse work table. Can hold up to 1000 pounds! Get it from Amazon for $74.33 ($35.66 off the list price). 14. 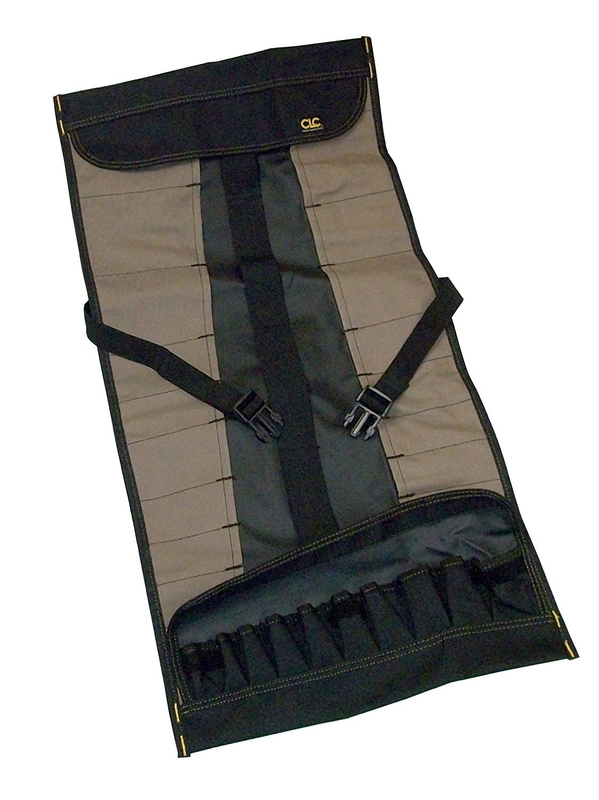 40% off a tool roll pouch (with 32 pockets). Get it from Amazon for $11.99 ($8.03 off the list price). 15. 24% off an illuminated multi-power LED head magnifier. Get it from Amazon for $11.74 ($3.70 off the list price). 16. 11% off a pocket-hole screw kit. Get it from Amazon for $26.67 ($3.32 off the list price). 17. 15% off an oscillating tool kit. Includes: flush cutting blade, flush cutting blade, wood/drywall blade, drywall jab saw, 1/16 inch grout blade, flexible scraper, and a sanding kit. Get it from Amazon for $109.99 ($20 off the list price). 18. 52% off a suspension multi-plier. It includes 12 integrated components. Get it from Amazon for $23.49 ($25.83 off the list price). 19. 47% off an 18-piece micro rotary tool kit. 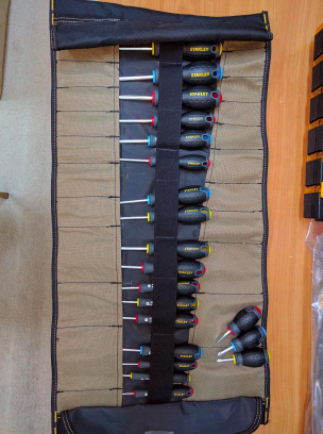 It includes a 105 engraving cutter, 125 high speed cutter, 191 high speed cutter, two fiberglass-reinforced cut-off wheels, silicone carbide grinding stone, two felt polishing wheels, polishing compound, two felt polishing wheels, stainless steel brush, 1/2 inch sanding drum, 1/2 inch 60-grit sanding band, 1/2 inch 120-grit sanding band, 1/2 inch 240-grit sanding band, screw wandrel, mandrel, and wrench. Get it from Amazon for $79 ($70.89 off the list price). 20. 39% off a heavy-duty plunger with an aluminum handle. Get it from Amazon for $13.99 ($9 off the list price). 21. 20% off a flex shaft attachment. Get it from Amazon for $19.98 ($4.99 off the list price). 22. 6% off a 14-piece titanium drill bit set. Get it from Amazon for $14.99 ($1 off the list price). 23. 25% off a five-gallon stainless steel wet dry vacuum. Includes one 7' x 1.25" hose, three extension wands, one 10" wet dry nozzle, one gulper nozzle, one crevice tool, one cartridge filter, one foam sleeve, and one filter bag. This unit features, top carry handle, rear blower port, and positive latch system. Get it from Amazon for $55.94 ($19.05 off the list price). 24. 16% off a electronic caliper with an extra-large LCD screen. Includes three measuring modes: inch, fractions, and millimeter. Get it from Amazon for $16.85 ($3.14 off the list price). 25. 44% off an all-purpose rotary accessory kit. Get it from Amazon for $25 ($19.74 off the list price). 26. 45% off a receptacle tester. Get it from Amazon for $7.71 ($6.28 off the list price). Want to see even more? Duh! Check out the full sale here.